Here's a clip of VSQ performing "Kings and Queens" with 30 Seconds to Mars on their MTV Unplugged Session. Let us know what you think! 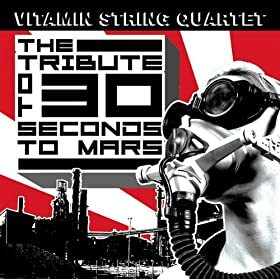 Did you catch the 30 Seconds to Mars Unplugged Session at MTV.com featuring Vitamin String Quartet? Don't worry if you didn't; we've got a full length clip of the band's hit “Hurricane” from last night's airing below. More clips from the show will be hitting our Facebook page and blog soon - Keep an eye out!